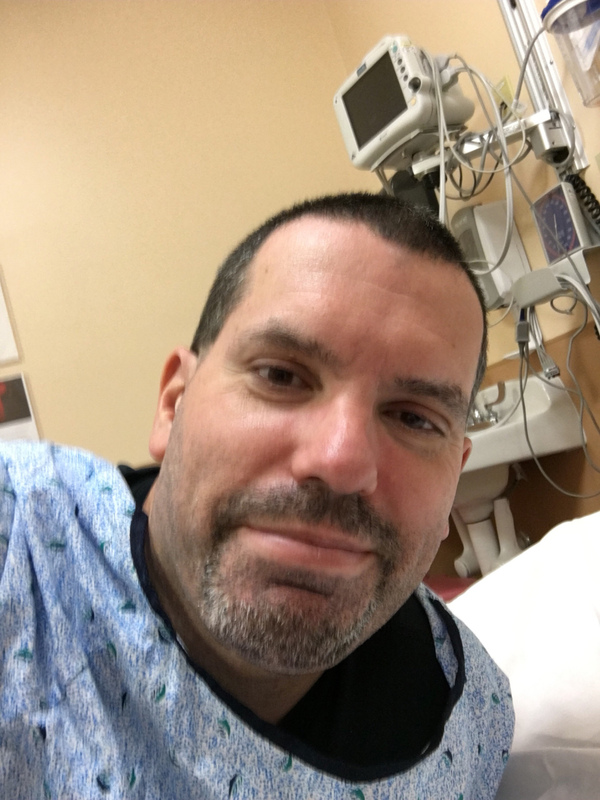 The awkward smile aside, the pain in my back and leg got so bad recently, I had to make a 4 a.m. trip to the emergency room. So…remember the back/leg issues I mentioned in the previous newsletter? Well, that problem had been getting better…or so I thought. Because the pain had subsided and become more manageable, I started doing things I probably shouldn’t have been. These things include carrying my sons into the ocean and jumping in the waves during Labor Day weekend, and then pulling a wagon – one not really designed for beach sand – with my boys riding inside of it. We get back to Alison’s parents’ house in Brigantine, NJ, after spending hours at the beach on the Sunday of Labor Day weekend and I suddenly felt increasing pain in my upper left leg. I went for a walk with the hopes that it would loosen things up. It didn’t. By bedtime, I realized I would not be able to sleep comfortably, if at all. By morning, I could barely move. It took me hours just to get to a point where I could sit in the car for the two-hour drive back home. The next few nights and morning were more of the same. I went to an urgent care the following Wednesday and got a prescription for a painkiller, but the doctor I saw was more concerned about my lingering cough (which is just normal for me after a cold) and just said it was a back sprain. Well, the painkiller did nothing. The next night was an absolute nightmare. After sleeping for a few hours, I woke up before 2 a.m. and was on the verge of tears from the pain. Just before 4 a.m., I told Alison that I needed to go to the hospital and she called her parents to come and watch the boys so she could take me. After a cocktail of pills and a steroid I.V., I was able to sleep for a bit there before coming back home by around 6:30 a.m. with another round of prescriptions. The pain was at least manageable enough so I could sleep most of the rest of the morning. The next day, I finally saw an orthopedist who confirmed I have a herniated disc and doubled up one of the prescriptions I was given by the hospital. Physical therapy and an MRI are on the schedule. And so that officially closed the book on any hopes I had of a miraculous recovery to compete in the Hightstown Triathlon on September 9. 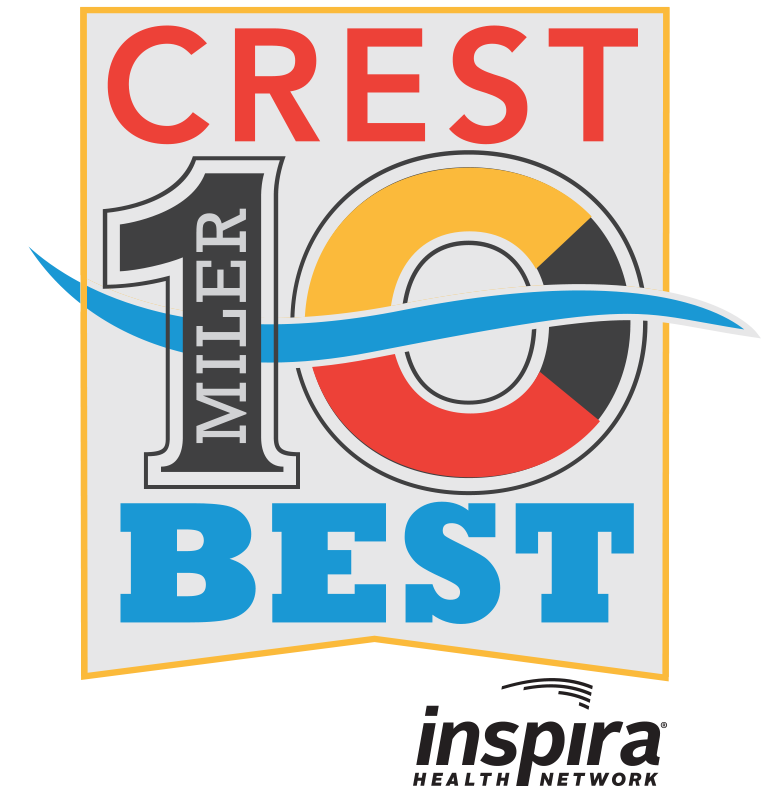 Now, I’m just hoping I can get myself together for the inaugural Crest Best 10-Miler in Wildwood, NJ, on October 7. 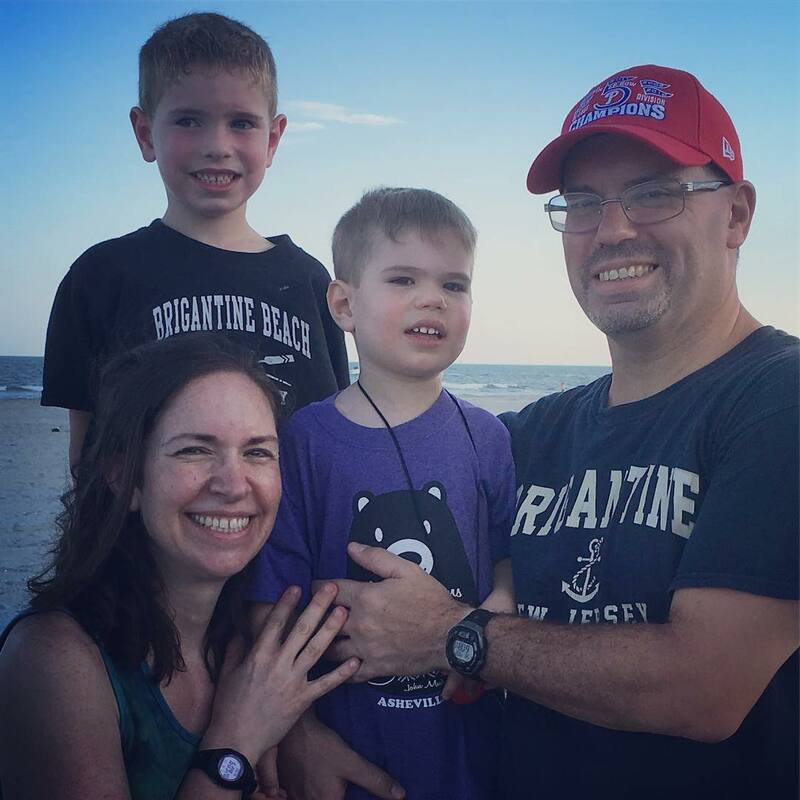 My back/leg pain was on its way to becoming unbearable at this point, but a passerby in Brigantine, NJ, managed to get a rare, impromptu family photo over Labor Day weekend in which we’re all at least generally looking at the camera. I’ve spent a good deal of time this week tracking Hurricane Florence on my Tumblr site since I haven’t been able to do much else. Hope all my friends in its path stay safe, take all necessary precautions and heed all local warnings. When this arrives in your inbox, Florence’s arrival will likely be just hours away. With both of our laptops (Alison’s Dell and my MacBook Pro) pretty much dead and kind of irrelevant thanks to smartphones, I convinced her it would be beneficial for us to buy a Mac Mini as a family desktop machine. That way, we could use cheaper third-party peripherals (keyboard, mouse, monitor) while still having the Mac OS experience. 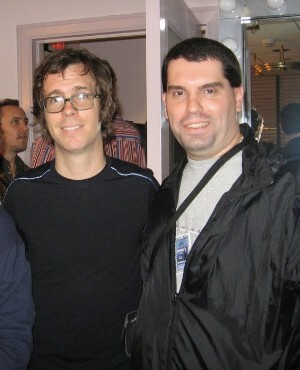 So, despite still being in pain, I spent one day a few days ago driving all over Mercer County to buy the Mac Mini at the local Apple Store and visit a few retailers to find cheap third-party components (I was trying to keep the project under $700). I bought a cheap monitor that I thought had an HDMI port based on a spec sheet I found online for the exact model I found at Staples. However, when I opened the box, there was no HDMI port (just VGA and DVI ports) and the manual referred to that feature as an option (so apparently it does exist on certain versions of this model…just not the one I bought). The monitor did come with a VGA cable, so back in the car I went to exchange the HDMI cable I purchased for a VGA to HDMI adapter. Get back home, make the connection…and nothing. A little troubleshooting revealed two things: 1) very few non-Apple VGA-to-HDMI adapters work with Mac Minis, and 2) Apple had long discontinued its own VGA-to-HDMI adapter. Apple’s DVI-to-HDMI adapter is still made and was supposedly at the local Apple Store, but I had only seen a DVI cable at one of three Staples I had been to that day. So back in the car again – still in pain…and, now, frustration – to pick up the DVI-to-HDMI adapter from the Apple Store, which did not have it out on the sales floor but wound up having one in stock. And then back to the Staples where I had seen the DVI cable. The DVI cable and the DVI-to-HDMI adapter did the trick, but one thing really bothered me: except for having to go back to the Apple Store a second time for the DVI-to-HDMI adapter, all the cable and adapter needs likely would have been addressed by the Radio Shack that used to be in the same mall as the Apple Store. It would have saved me a lot of driving and pain that day. But, also, I really just miss Radio Shack. Not sure how long this feed is going to hold out, but this is the livestream of a camera stationed at Frying Pan Tower, a decommissioned lighthouse about 30 miles off the North Carolina coast. If you want to watch the fury of Hurricane Florence up close, this gives you an opportunity to do so. Hoping the pain from this herniated disc is manageable enough so that I can make the drive to Red Bank, NJ, on Wednesday, September 26, to see Simple Minds at The Count Basie Center for the Arts. I have never seen them live so it would scratch off a bucket list item. I especially want to see “Up on the Catwalk” performed live. Assuming I have recovered from my herniated disc by then, I’m still planning on running this inaugural 10-mile race in Wildwood, NJ. It’s a Delmo Sports event and they usually do a top-notch job with these things, so I’m really looking forward to it. If I have to bag another race, I’m not going to be happy.